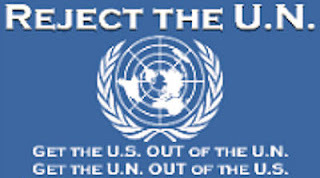 Citizens Against Government Waste (CAGW) today named Senate Banking Committee Chairman Christopher Dodd (D-CN) its June Porker of the Month for accepting a preferential mortgage deal from a company which stands to benefit from a mortgage bailout bill he is pushing through Congress. Sen. Dodd acknowledged receiving a “VIP” loan from Countrywide Financial Corporation, but denied that he knew the designation meant he would be receiving special privileges because of his position as the chairman of the Banking Committee. Sen. Dodd is one of several current and former high-ranking officials, including Senate Budget Committee Chairman Kent Conrad (D-N.D.) and former Fannie Mae CEO Jim Johnson, who was on a special “Friends of Angelo” list, named after Countrywide Financial Corporation Chairman and CEO Angelo Mozilo. According to published reports, Chairman Dodd’s special mortgage rate reduces his costs by $75,000 over the 30-year life of the mortgage. . . . The unsettling revelations about Sen. Dodd’s sweetheart mortgage deal comes as the Senate Banking Committee is pushing a broad housing bill that features provisions that accrue to the benefit of large mortgage lenders while placing taxpayers at great financial risk. The Senate version of the bill would offer lenders an opportunity to off load up to $300 billion of their riskiest loans onto the Federal Housing Administration (FHA), creating new loans that place 100 percent of the loan liability on the taxpayers. The Congressional Budget Office projects that one-third of those refinanced mortgages will ultimately default. FHA Commissioner Brian Montgomery said on June 9, “We are not designed to become the federal lender of last resort, a mega-agency to subsidize bad loans.” . . . 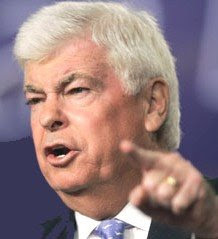 Tags: CAGW, Chris Dodd, Citizens Against Government Waste, Congressional Pork, Connecticut, housing assistance, mortgage default, pork-barrel spenders, porker of the month, Senator To share or post to your site, click on "Post Link". Please mention / link to the ARRA News Service. Thanks!